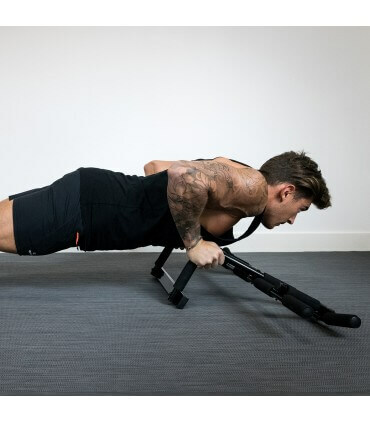 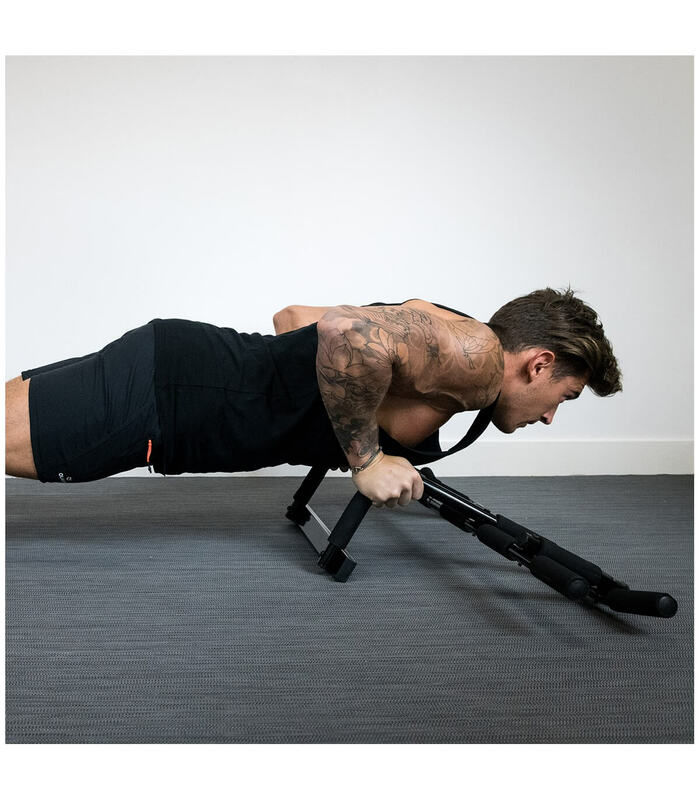 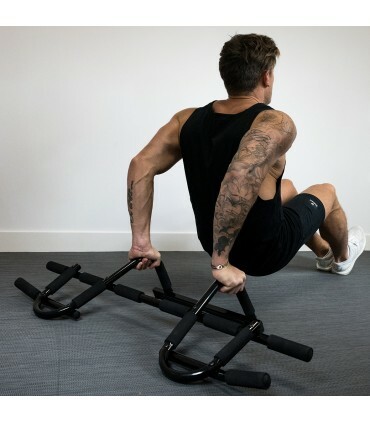 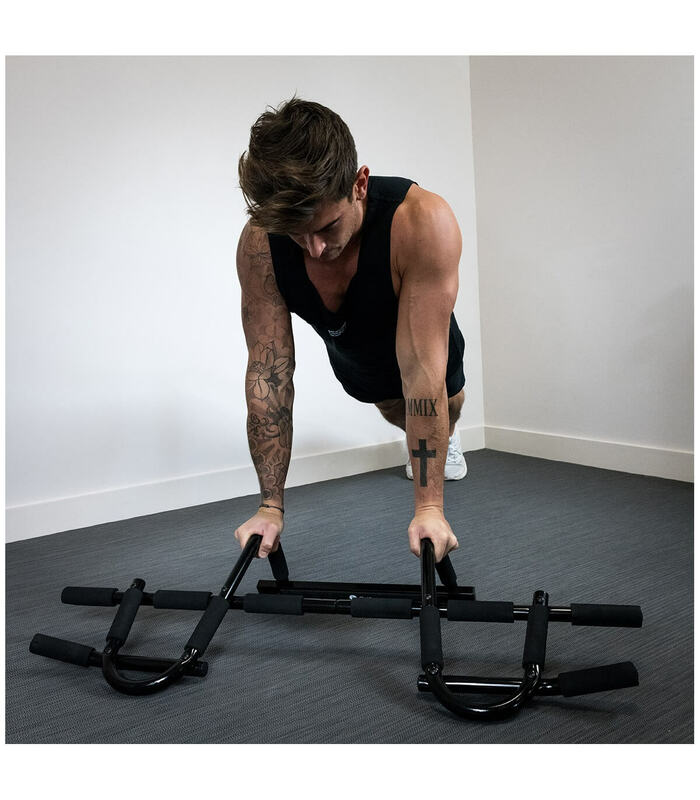 The multifunctional training bar provides a large range of exercises such as pull-ups, very efficient to gain arms, back, chest, shoulder and abdominal muscles. 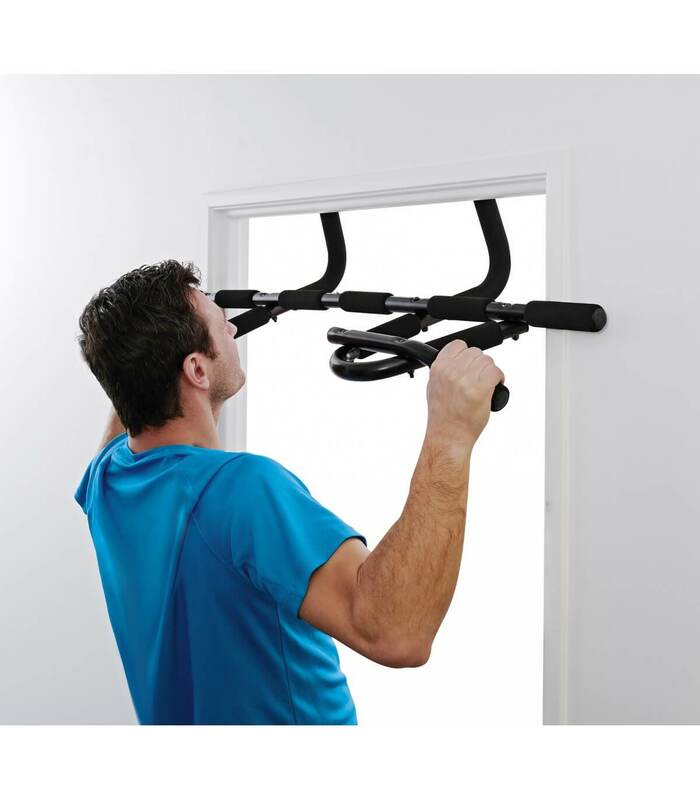 Adapts on 60cm to 90cm doors frames. Do not use upside down. 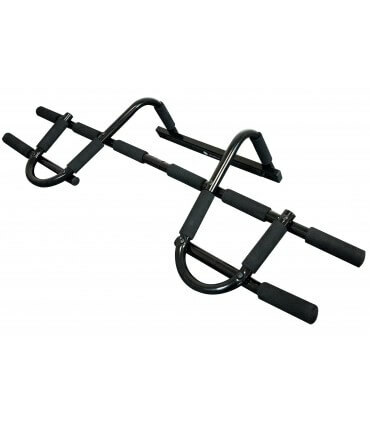 Material: Steel and foam handles.